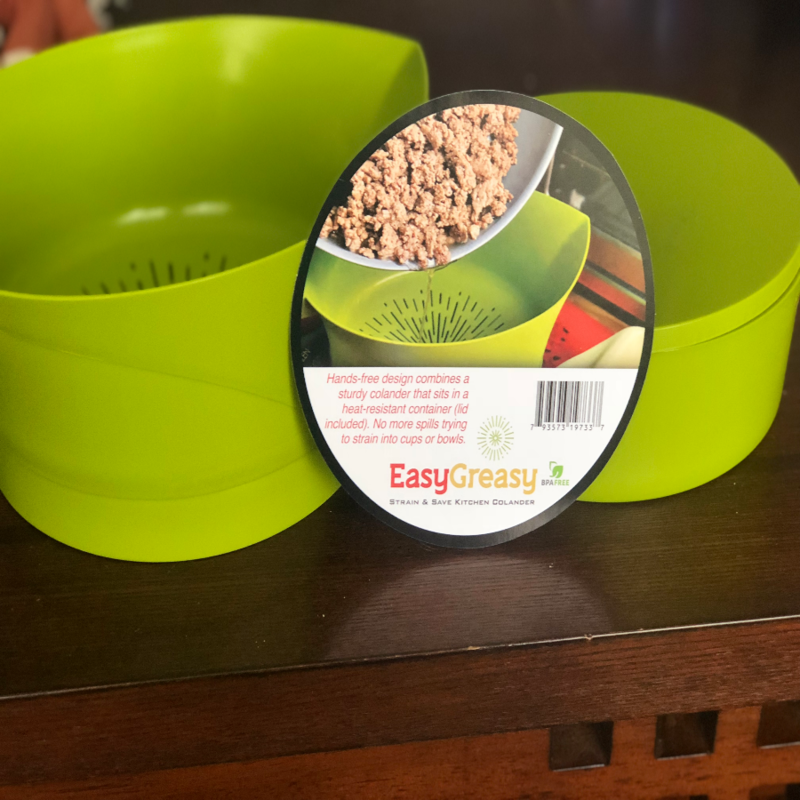 Invented by a busy mom, just, like us, Michele Schroeder was tired of the hassle of straining unhealthy grease from meats on a day to day basis. She created a product that reduced the amount of handling that you have to do with greasy products. You can even use this to defrost chicken breasts! Easy Greasy is made up of three parts. It is heat resistant to up to 260 degrees. You simply put the strainer in the container and pour the meat in it. Once its strained, lift up on the strainer and its done! the container comes with a lid for storage. Once the grease has come to room temperature, simply put it in the garbage. 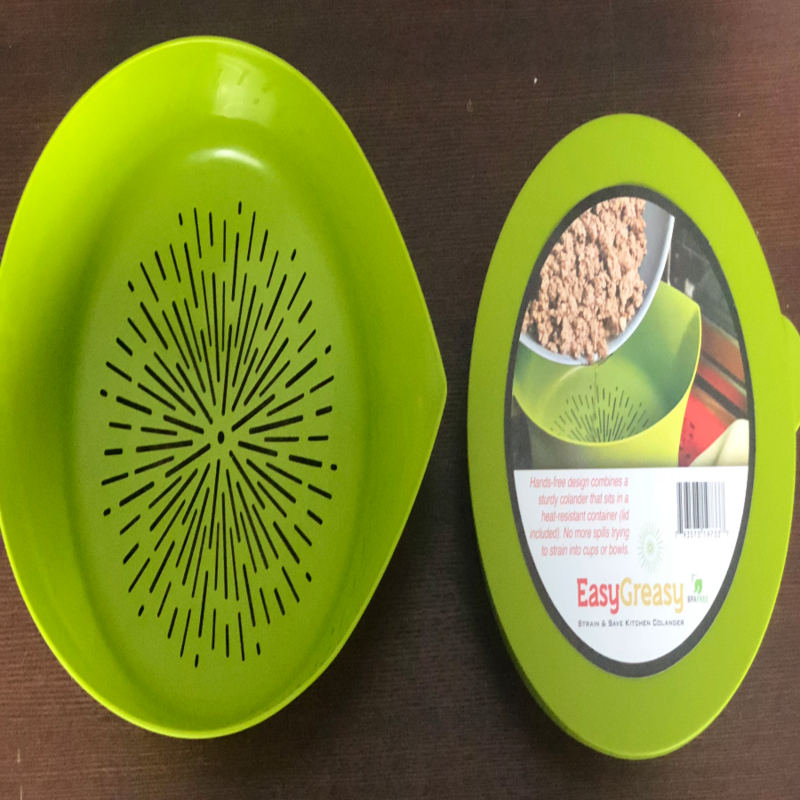 Easy Greasy is hands free, BPA free and dishwasher safe. This product may be found at the link provided throughout this post.